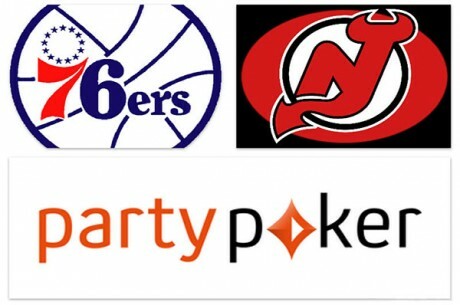 Boomberg News Wire – The Josh Harris-controlled Philadelphia 76ers and New Jersey Devils signed a multiyear marketing agreement with partypoker, becoming the first major U.S.-based professional sports teams to align themselves with online gambling. The agreement with the unit of Gibraltar-based Bwin.Party Digital Entertainment Plc (BPTY), the teams and Prudential Center, home to the Devils, comes about a year after New Jersey legalized online gambling, which is expected to be a $7.4 billion business in the U.S. by 2017, according to the research firm H2 Gambling Capital. Nevada and Delaware are the only other states to allow online gambling. The agreement is worth at least $10 million, according to a person with direct knowledge of the deal. Richard Peddie, the former chief executive officer of Maple Leaf Sports & Entertainment, which operates the Maple Leafs and basketball’s Raptors, said he isn’t surprised these teams — in the lower half of franchise valuations in their respective leagues — are the first to align themselves with a gambling site.